Learning and teaching French has always been at the heart of the personal and professional concerns of Mrs. Arcand. Having lived in British Columbia for more than thirty years, her children grew up in a bilingual family and went to a francophone school. As a grandmother, she wants to maintain French as a vibrant language in her entourage, even though some of its members are dispersed throughout the continent. Whatever their language—French or English, her students’ varied and unique cultural or linguistic backgrounds have constantly been a source of fascination for Ms. Arcand. She aimed to present French as current and entertaining for her students. She sought to create connections and to promote the languages and cultures of her students. So, while she was a teacher at the British Columbia francophone school board, she enjoyed making her students live in French, using stories, songs, acting and all sorts of authentic communication projects. Her passion for language and culture guided her as a teacher and motivated her as school director. 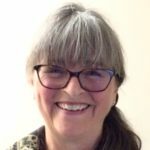 It was also a valuable asset when she worked in education and administration at the Faculty of Education of Simon Fraser University (SFU) in British Columbia, within French programs. After she retired from SFU in 2015, Ms. Arcand recently went back to her hometown, Montreal, where she discovers unsuspected cultural richness. To maintain connections with the education and teaching community, she offers on a part-time basis translation and writing services. Above all, she is part of a constantly evolving society, in an urban environment more respectful of the diversity, beneficial for its citizens’ development and that is getting greener. Ms. Arcand is delighted and honoured to have the opportunity to apply her experience and passion at the service of Canadian students by serving on French for the Future’s Board of Directors.